Acupuncture and Traditional Chinese Medicine is an ancient form of medicine that originated in China thousands of years ago. It is a natural approach to health and healing that recognizes the integrity of the whole person. It complements conventional medicine by addressing the underlying cause of illness and dysfunction in the body. In addition to treating the symptoms of your condition, acupuncture stimulates and supports the body’s own healing ability. Treatments are customized to address the needs of each individual taking into consideration a person’s unique physiological, structural, psychological, social, spiritual, environmental and lifestyle factors. There are two ways of explaining it. One is from a Traditional Chinese Medicine (TCM) point of view that uses traditional concepts, philosophy and terminology. The other is a western biomedical explanation that discusses the role of endorphins and the central nervous system. I will discuss both. From a traditional perspective, acupuncture is based on the theories of Traditional Chinese Medicine and the concept of balancing the flow of energy in the body. Energy is said to flow along meridians which are defined as pathways that circulate through the body (they often correlate with the circulatory and nervous system in conventional medicine). In a healthy body energy flows smoothly whereas in an unhealthy or injured body the energy becomes blocked. Stimulating points along the meridian removes any blockage and improves energy circulation throughout the body. Improving the flow of energy brings the body back to a state of balance which allows healing to take place. From a biomedical perspective, acupuncture is able to stimulate the body’s own healing response through a cascade of reactions that reduce pain and inflammation, increase blood circulation and activate the immune system. The body recognizes the needle as ‘foreign’ (similar to when you get a sliver) which stimulates the immune system to start the healing process and regulate the pain cycle. It does this by interrupting pain signals along nerve fibres, increasing circulation, releasing endorphins and stimulating the central nervous system to regulate neurotransmitters and hormones. The release of these chemicals reduce pain, stimulate the immune system and regulate various functions and systems in the body. How much training does a Registered Acupuncturist complete? BC requires licensing of all Registered Acupuncturists. It is regulated under the Health Professions Act and Registrants must be licensed with the College of Traditional Chinese Medicine Practitioners and Acupuncturists of BC (CTCMA). In BC a Registered Acupuncturist undergoes a minimum of 3 years of full-time accredited acupuncture education in addition to 2 years of prerequisite university sciences. After completing 5 years of education, they must pass a National Board Exam in order to be licensed to practice. The title ‘Acupuncturist’ is restricted to Registered Acupuncturists (R.Ac) licensed by the CTCMA. Registered Acupuncturists must renew their license every year. The continuing education requirements for Registered Acupuncturists are amongst the highest of all the regulated health professions in BC. Yes, there are many studies showing the efficacy of acupuncture for a variety of conditions particularly pain relief. Please see here for links to some of the more recent published studies. How does acupuncture work for stress reduction and anxiety? When stress becomes chronic the brain reacts by inducing the “fight or flight” response which causes a release of adrenaline and cortisol. Continuous release of stress hormones causes a cascade of symptoms in the body. Common manifestations of stress show up as short-term memory loss, weight gain, insomnia, headaches, fatigue and depression. When a person feels stress, a region of the brain called the hypothalamus sends a message to the adrenal glands to produce a surge of cortisol and adrenaline. Adrenaline can be helpful in acute moments of stress as it boosts physical energy, but is harmful when stress becomes chronic as it can lead to high blood pressure, rapid heart rate and decreased immune function. Excess cortisol affects the brain, immune system and digestion. Over time it can lead to a decrease in cognitive function, memory and learning. Acupuncture can help alleviate the symptoms of long-term stress and anxiety by altering brain neurochemistry causing an increase in dopamine and serotonin (the feel good hormones). Regular treatment gives the body and mind a rest and decreases the physical effects of the stress. If you experience chronic stress or anxiety you may want to explore acupuncture as an effective treatment approach. Acupuncture has an immediate effect for stress and anxiety causing a strong relaxation response and an overall feeling of calm. How does acupuncture work for injuries and pain reduction? Acupuncture promotes blood flow. Acupuncture increases blood flow and vasodilation to areas of injury which helps to speed up the healing process. Restoring proper blood flow to injured areas is vital to healing. Acupuncture stimulates the body’s own healing mechanism. Acupuncture creates “micro-traumas” which induce a very mild local inflammation that stimulates the body’s ability to heal tissue through nerve, endocrine, and immune system activation. The reaction is similar to when you get a sliver. As the body heals the micro-trauma caused by the needle, it also stimulates healing in the surrounding tissue. Acupuncture relaxes tight muscles. The intra-muscular stimulation caused by the needle activates a reflex causing the the muscle fibres to relax which relieves pressure on joint structures and nerves. Acupuncture releases natural painkillers. Needle insertion sends a signal through the nervous system to the brain, where chemicals such as endorphins, norepinephrine and enkephalin are released. These substances provide pain relief in the body. Acupuncture reduces the intensity and perception of pain. It does this through a process of blocking pain signals along nerve fibres. Acupuncture reduces stress. This is one of the the most important systemic effects of acupuncture. Research shows that acupuncture stimulates the release of oxytocin, a hormone/signalling substance that regulates the parasympathetic nervous system. The parasympathetic nervous system produces relaxation in the body. This body heals faster when in a relaxed state. People find treatment to be a gentle and relaxing experience. The needles are as thin as a strand of hair so the sensation is very mild. You may feel a slight prick as it is inserted but most times you will not feel the insertion at all. Jeff’s technique is very gentle and many people come specifically for this reason, especially those who are nervous or trying it for the first time. Often people find it so relaxing they will fall asleep during treatment. The needles are extremely thin, much smaller than hypodermic needles (the ones used for drawing blood). In fact you can fit about seven acupuncture needles inside a hypodermic needle. An acupuncture needle is as thin as a strand of hair. Don’t worry, we are very gentle and will do everything possible to ensure you are comfortable at all times. Most people who are nervous are pleasantly surprised at how relaxing and comfortable it is. Most conditions see improvement with 3 to 4 treatments. After the 4th treatment we will re-assess to see where you are at and if you require additional treatments. Relief care: Some patients seek acupuncture for pain relief and to remove symptoms from a recent injury. In this case, we recommend once a week for 4 to 6 weeks or until symptoms are resolved. Wellness care: Acupuncture stimulates your body’s own ability to heal itself. By receiving regular treatments you ensure that your body will be ready for all the things you throw its way. 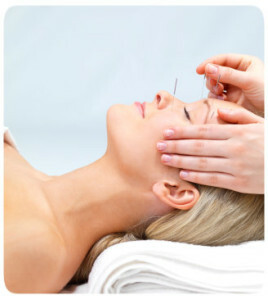 Many patients incorporate regular acupuncture into their overall health routine. This type of care is termed wellness care and the goal is to keep you healthy and prevent problems before they arise. If your goal is long-term wellness Jeff can help you determine the best approach for you… whether it’s once a month or seasonal tune-ups. The initial assessment and treatment takes approximately an hour and a half. Subsequent treatments are 45 to 55 minutes. Your first appointment will include the initial assessment as well as acupuncture treatment. During your first visit, you will be asked to fill out a medical history and answer a series of questions about your health. A treatment plan will be developed based on your comfort level and particular needs. The plan may also include supplement suggestions, exercises and dietary recommendations. 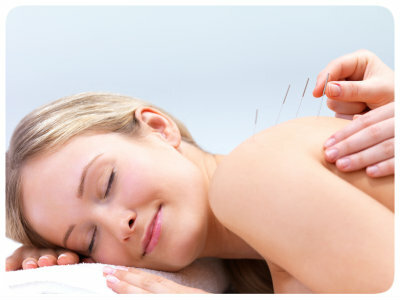 We will ensure your comfort and answer any questions you may have before starting the acupuncture treatment. Most points are on the lower legs, lower arms and back as these are the acupuncture points with the strongest effect. It is best to wear loose comfortable clothing. A short sleeved shirt and pants that can easily be rolled up to the knee are great as it allows easier access to the arms and lower legs if needed. Can I rest during my treatment? Yes, we encourage it. Your body does its best healing when in a relaxed state. In fact many people find acupuncture to be so relaxing they fall asleep during their treatment. The heated table and calming music also help to create a restful state. After treatment some people notice an immediate reduction in pain or symptoms. Others will notice a mild aggravation of symptoms for a few hours. For example if you have shoulder pain you may notice your shoulder feels heavy and achy for 2-3 hours. This is normal and it will feel better the next day. The majority of people report feeling calm and relaxed after their treatment. Yes. Each needle is sterile and individually packaged. They are used only once and then properly disposed of in a bio-hazard waste container. Scalp acupuncture is a relatively modern application of Traditional Chinese Medicine. It incorporates the concepts of neuroanatomy and brain function. Tiny needles are inserted along the scalp over the affected area of the brain to improve corresponding motor and sensory functions. For example, if a person is experiencing post-stroke weakness in their right foot, then treatment would be applied to the area of the scalp overlying the foot motor-sensory area of the brain. In this case, the left side would be treated as it affects the right side of the body. This technique is most often used in the treatment of post-stroke paralysis, MS, Parkinson’s or serious head injuries. Scalp acupuncture can also be used for improvement of anxiety, depression and developmental disorders. Scalp acupuncture is gentle as the needles are very thin and inserted at a shallow depth. It has a positive affect on brain function while inducing a state of calm and relaxation. It is one of the most relaxing forms of therapeutic acupuncture. Needles are left in for approximately 15-30 minutes with intermittent stimulation while the person is resting. Effects can sometimes be noticed within twenty minutes of treatment. Most patients report feeling calm and relaxed afterwards. Scalp acupuncture is most effective when applied 2-3 times per week. Everybody can benefit from acupuncture. 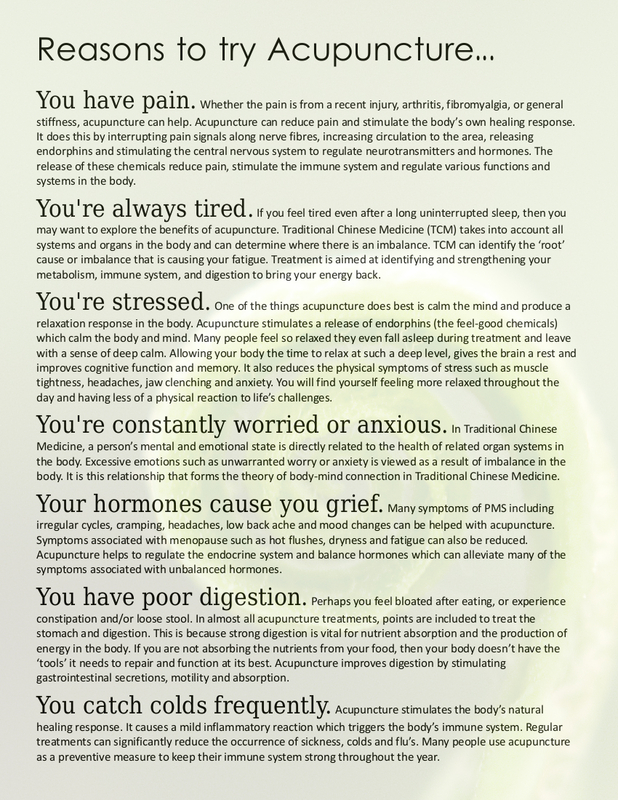 The greatest strength of Traditional Chinese Medicine is prevention. Just as taking your car for regular oil changes prolongs its life; balancing the body and reducing inflammation will improve your health and quality of life. I’m really motivated to get better. What else can I do? We can give you as many suggestions and tips as you can handle! TCM takes into account many aspects of life and there are many self care ‘tools’ you can incorporate into everyday living. To book an appointment please use our easy online booking system or call 250-384-1700. If you have any questions about your particular condition or acupuncture in general please feel free to contact us. We’d love to hear from you.